Making Strides Against Cancer is a 3 mile walk that our Interpak Cancer Fighters have participated in 5 years in a row. In it's first year, the team consisted of 30 walkers and raised $4,026. Fast forward to October 2017 when the team was over 130 walkers and raised over $14,900. This amount is half comprised of money donated and raised by the Interpak Cancer Fighters, and the other half comprised by Interpak's commitment to match that amount. 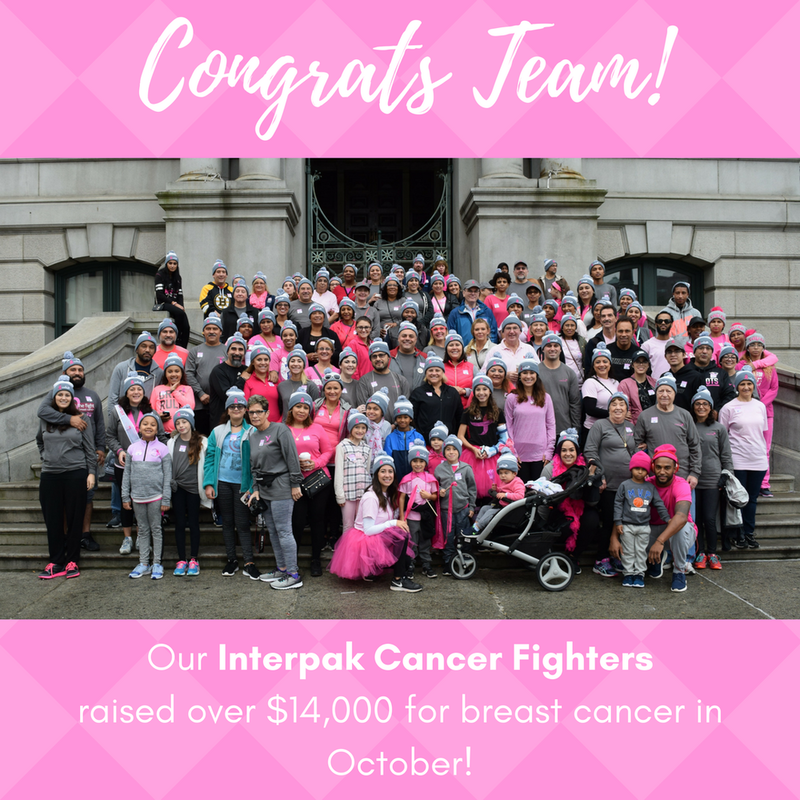 This made Interpak the top fundraising company in the state for this event, and the Interpak Cancer Fighters the number 2 team. Cheers to this fantastic group of people, and thank you for all of your time and effort! Interpak is honored to have a team like you!